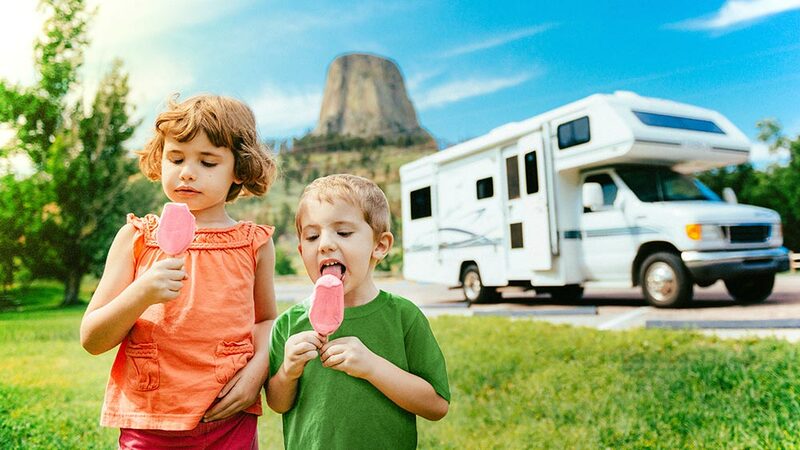 Rack up the memories with your beautiful new RV, the sights and sounds of the breathtaking scenery and a low cost TwinStar RV loan. Apply online now, visit one of our 20 branches, or give us a call at 1-800-258-3115. Rates range from 5.74% - 14.74% fixed APR for special 72 month term. Rates range from 6.24% - 17.24% fixed APR for other terms. Older model units, if approved, are subject to higher rates. Term is determined by amount financed. Special short term (72 months) and standard terms available. RVs: Includes campers, tent and travel trailers, fifth wheels, RV/sports trailers, and motor homes. Excludes recreational park trailers, tiny homes, commercial or commercial use, Toter, and Toter Home vehicles. Excludes ANY unit lived in (or planning to live in) 5 or more months during the year. New and last 14 model years. Total 15 model years including current model year.